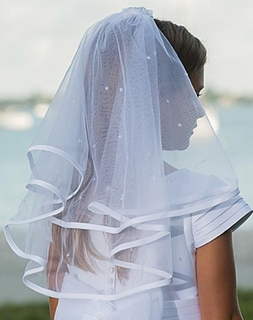 This beautiful veil is made by Sarah Louise, a top designer British designer of beautifully detailed children's garments for more than 20 years. 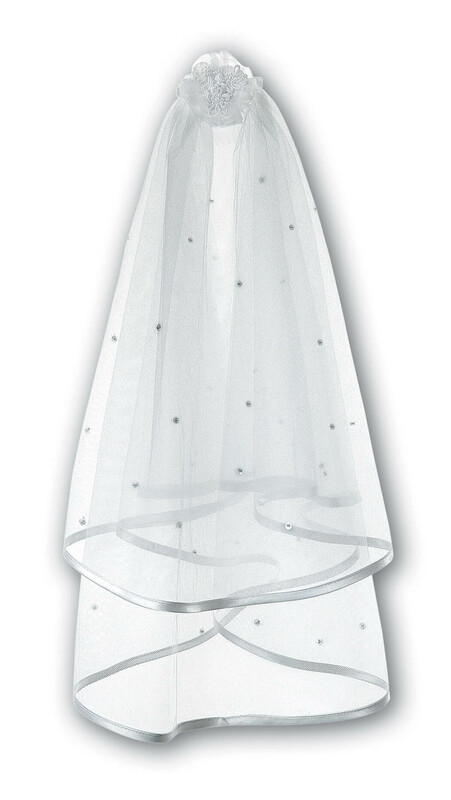 It features a sheer double layer of tulle trimmed with white satin trimmed with sequins. Corded cotton and pearl flowers cover the clear comb that holds the veil in place.